Please verify that the correct World Series Session is selected above!! Congratulations on an outstanding season and welcome to the 2019 Dizzy Dean World Series. Your tournament host will be The City of Southaven, MS Parks and Recreation Department and it will be our goal to create an experience that the players, coaches and families will remember for the rest of their lives. The tournament will be played at the outstanding state of the art 17 field complex Snowden Grove Park in Southaven, MS on July 5-11, 2019. The result of bringing multiple age groups to this tremendous park at the same time creates an event that will be second to none. This is one of the largest baseball World Series events ever staged and you will not want to miss the opening ceremonies. 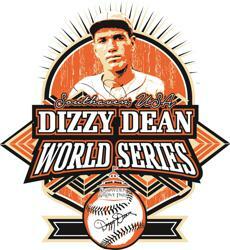 The exact format of the World Series will be established by Dizzy Dean Baseball, Inc. Entry into this event is for Dizzy Dean sanctioned teams only. Entries must be submitted on a Dizzy Dean World Series entry form and signed / approved by the respective Dizzy Dean National Board member of your state or a designee by the Commissioner of Dizzy Dean Baseball, Inc. Teams are required to pay a refundable appearance fee of $250 for this event. Failure to appear will result in forfeiture of the appearance fee. Your signed / approved entry form and refundable appearance fee, in the amount of $250 should be made payable to: Dizzy Dean Baseball World Series and mailed to your Dizzy Dean National and / or State Director. CLICK HERE for a listing of Dizzy Dean Directors. Your Dizzy Dean National or State Director will then forward the completed entry with his/her signature to 3335 Pine Tar Alley, Southaven, MS 38672. All entries MUST BE RECIVED BY 12:00 NOON July 1, 2019 by the City of Southaven Parks Department - Tournament Operations at the address above to guarantee your spot in the Dizzy Dean World Series. All age divisions will be seeded by posted results in each State tournament's order of finish. Bracket schedules WILL NOT be mailed out in advance and will only become available at the coaches meeting. Team credential check in will be at the BankPlus Sports Center (adjacent to Snowden Grove Park), 3335 Pine Tar Alley, Southaven, MS 38672 between the hours of 12:00 p.m. and 2:00 p.m. Friday July 5, 2019. Coaches may check in and complete their credentials check in anytime between the specified time above. Team Rosters and player birth certificates will be verified at this time. Coaches, your tournament information packet with detailed information regarding the Opening Ceremonies, Coaches Passes, etc. will be available at the BankPlus Sports Center during the credentials checkin. Please pick up information packages prior to proceeding to the credentials check in. There will be a manager's / coaches meeting at 2:00 p.m. on Friday July 5, 2019 at the BankPlus Sports Center (adjacent to Snowden Grove Park), 3335 Pine Tar Alley, Southaven, MS 38672. Two representatives from each team will be permitted to attend this meeting. All teams will be required to have a representative in attendance. The official schedule for when teams play will be determined at that time. Coaches Only. There will be a "Team Mom's meeting at 2:00 p.m. on Friday July 5, 2019 at the BankPlus Sports Center (adjacent to Snowden Grove Park), 3335 Pine Tar Alley, Southaven, MS 38672. Two representatives from each team will be permitted to attend this meeting. At this meeting, representatives from the Desoto County Tourism office as well as various area merchants and area attractions sharing information regarding things to do while your team is in our area. A Team Meal will be served at 5:30 p.m. at the Snowden Grove Amphitheater followed by the opening ceremonies at 6:30 p.m. Friday July 5, 2019. The FREE Team Meal will be served to Players and Coaches ONLY. Concessions will be available for parents and supporters to purchase food. All teams are required to participate in the opening ceremonies and should be dressed in uniform jersey and hat (Players are not required to wear uniform pants and may wear shorts). Tournament play will begin on the morning of Saturday July 6, 2019. See Rule 11:16 Dizzy Dean Rule Book regarding a teams participation in the Opening Ceremonies. FOR THE 7 YEAR OLD DIVISION ONLY: A small gift exchange between teams will occur during the World Series. Details regarding this gift exchange will be given at the Coaches Meeting. Please be prepared with a small gift (i.e pins, etc.) to exchange with each member of one other team in the World Series. This exchange will occur at the beginning of a teams first game in the World Series. They will exchange gifts with their opponent. NOTE: Pin Trading has become a tradition at World Series events, players will have an opportunity to trade pins during the team social prior to the opening ceremonies. Team pins are not mandatory, but certainly adds to the fun of this special event. We encourage each team to bring some small item to trade. Other examples other than team pins include..........contacting your local Chamber of Commerce for State/City pins.........contacting any Professional Sports Team in your area for small promotional items, etc. Admission during the World Series will be $7.00 per person per day or $25.00 for a tournament pass. For children (6-12) the charge will be $3.00 per day or $12.00 for a tournament pass. This charge includes everyone except players and team coaches. A maximun of 4 coaches passes will be issued. World Series Souvenirs, Programs and Tournament Passes will begin to be available for sale at the opening ceremonies on Friday July 5, 2019.